Check out our frequently asked questions to see if we can answer your questions. Can find what you’re looking for? Why not contact us here and we’ll see if we can help. I have heard you offer a 100% Money Back Guarantee, is this true? Yes, that’s right. If we don’t deliver the minimum that you deserve, which is the theory and the practical experience of all of the treatment areas that you have signed up to do. Then you are entitled to 100% of the Money Back. Check out our terms and Conditions here for more details. I’m not a prescriber, can I still administer botox? Let’s think about this logically. You don’t have to be a prescriber to administer frusemide or gelofusin, within a hospital, so why would you have to become a prescriber within the private sector? There’s no reason. Not all business owners have the skills to do everything in their business, and so they sub contract that work out to other people. This is exactly what you can do in your new venture, the difference being you give the work to a medical practitioner. We will give you a list of face to face prescribers that you can use for your business. Even after the fee that you pay them, there is plenty of profit left to sustain your business. Just ask us about profit margins to find out for yourself. I don’t know anything about business, can you help? Yes, we actually offer FREE marketing workshops to help boost your business as part of your training course. 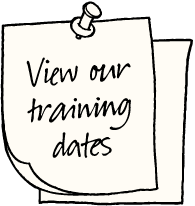 Why are your Botox and Dermal filler training courses not combined over one day? With the volume of practical experience we simply cannot squeeze all of the theory and practical into one day. It would be easy for us to give you one model between all of the delegates to share and simply inject the model once or twice per delegate, instead of practicing with 15 or more injection points. But we wouldn’t be true to ourselves. This company was born out of experiencing poor training quality and a desire to improve the training for the industry. Why can’t you deliver cheaper training? We are considering offering a cheaper training course, but with a cheaper course a few things have to occur…. more delegates per training course, less practical experience (meaning less product is used per delegate) or in order to stay true to ourselves with high volumes of practical experience, we want to offer a budget version with paperless training. Watch this space for more details to come shortly. Is it true that the laws have now changed for nurses to deliver Botox? No. The NMC code of conduct is still the same and the Medicines Guidelines for Nurses hasn’t changed. We must still meet these guidelines, it’s not a case of attempting to work to the guidelines. They should have been met in the past, and they must be met now. So what are people talking about when they are talking about the changes in legislation? It has been common practice for non-prescribing nurses to obtain prescriptions be telephone from Doctors over the telephone and administering a prescription drug (Botox/Botulinum Toxin/Azzalure/Dysport) for cosmetic use. This doesn’t mean that despite it being common practice that it was right. The NMC have always stated that a remote prescription can only be given in an emergency. How am I supposed to get hold of a prescription for my clients? Many non-prescribing nurses have forged relationships with doctors, dentists and nurse prescribers to prescribe on their behalf. You simply organise a clinic date together and organise for your clients to attend on those dates in order to obatin their prescriptions of Botox. I’m a beauty Therapist NVQ Level 3, Can I come on your training course? Unfortunately we cannot train Beauty Therapists to inject dermal fillers or Botox. If you would like advice on how to choose the right medical practitioner for your salon, please feel free to give Richard or Natalie a call on 0845 5194823. You are also very welcome to join us on any of our business trainng courses such as How to Sell Skin Care and 7 Steps to Marketing Success. Please read here for more on our cancellation policy.